As night falls on the lowland rainforests in Madagascar, dead, decaying leaves find new life, slowly unfurling in the vanishing light. But as four scaly feet and wide, unblinking eyes emerge from behind the crinkly veil, the leaves reveal their true identities: these are leaf-tailed geckos, unparalleled masters of disguise. Now, researchers have described a species of these secretive lizards totally new to science, discovered in a protected corner of the island. With charismatic lemurs, cat-like fossas, and prickly tenrecs, Madagascar has no shortage of endemic species. Leaf-tailed geckos, genus Uroplatus, are similarly a Madagascan original. Well over a dozen species have evolved on the island, and all are equipped with impressive camouflage. In the ultimate RPG of Life, these reptiles have maxed out their stealth skill trees, appearing indistinguishable from an old leaf when at rest. Their tails are flattened and leaf-shaped, and their skin has blotchy colours and textures, even incorporating ragged edges on skin folds for that authentic, “brittle decay” look. This intense mimicry is almost certainly a strategy to avoid predators, said Mark Scherz, herpetologist and PhD candidate at the Ludwig Maximilian University of Munich, and coauthor on the paper describing the new gecko, published this week in the journal Zootaxa. Leaf-tailed geckos prowl midnight forests for insect prey over much of the island, and thanks to the ongoing work of researchers like Fanomezana Ratsoavina, a herpetologist at Madagascar’s University of Antananarivo and lead author on the study, science is becoming familiar with once-hidden species. It didn’t take long for the research team to note that the geckos Raselimanana first collected from low-lying areas of the park were weird. They were very large when compared with what appeared to the most similar species, the ominously-named satanic leaf-tailed gecko. In 2016, the team went out at night and collected more of these big, unplaceable leafy boys. Through careful measurements of their physical features, the team found that the reptiles were indeed unique. At about four inches long, the new geckos are 50 per cent larger than their satanic cousins, and have a proportionally shorter tail. The new geckos also have purely scarlet red tissue in their mouths, potentially a last-minute warning to predators; in their close relatives, the mouth is more black. When the team analysed the geckos’ genetics, their results aligned with the physical conclusions that the Marojejy lizards warranted classification as a new species, Uroplatus finaritra. These delightful foliage friends have only been found right around Marojejy within the Park. 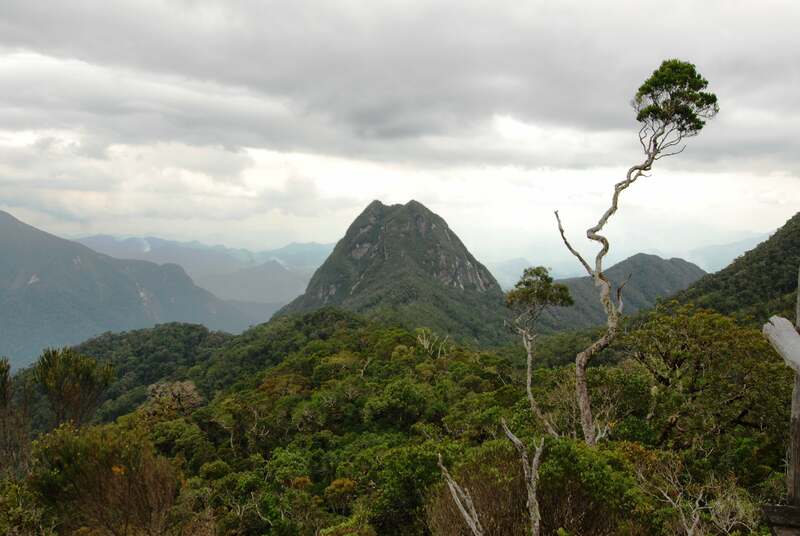 In this sense, Uroplatus finaritra is lucky, since the heart of its habitat is more protected than other parts of the island, which are suffering catastrophic degradation. However, the international exotic pet trade may pose a threat to the Marojejy geckos, mostly because of the popularity of their close cousins, the satanic leaf-tailed geckos. “The two species are extremely similar, and the rules governing export are not easy to apply to animals that are undescribed or that can be confused with other species,” Scherz explained. Scherz says that “satanic” geckos described as ‘giant’ or ‘large’ morphs have already been exported to the US and Europe, and that these animals are likely actually Uroplatus finaritra. This blindspot in the Convention on International Trade in Endangered Species of Wild Fauna and Flora (CITES) quota system for exporting exotic animals is also open to intentional abuse. “When people harvest animals that are undescribed, or when they misidentify species on purpose to get around these problems, they are threatening animals that are not thought to be able to handle it, or where we have no idea what level of harvesting can be handled at all,” Scherz said. 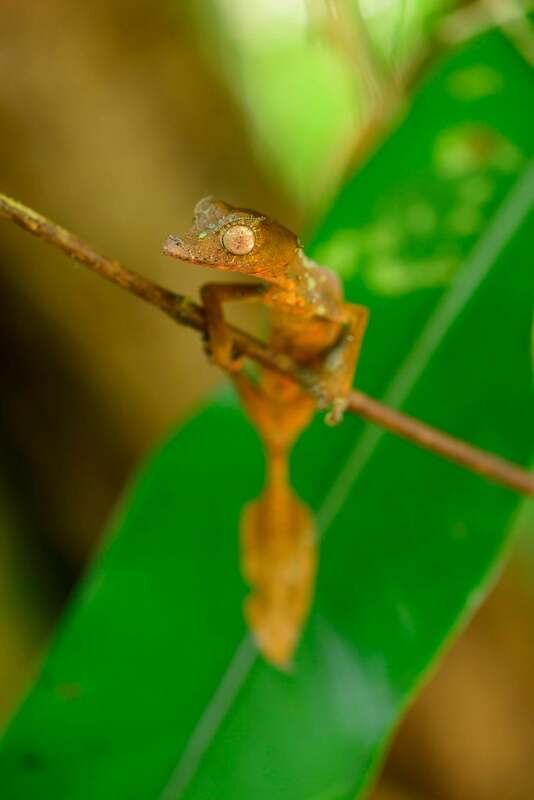 Since it’s not reasonable to expect CITES shipment inspectors to go around opening the mouths of every gecko to ID them, Scherz says that he and his colleagues have proposed that all reptile and amphibian exports from Madagascar be accompanied with information on where the animals were collected as a quick and dirty alternative. 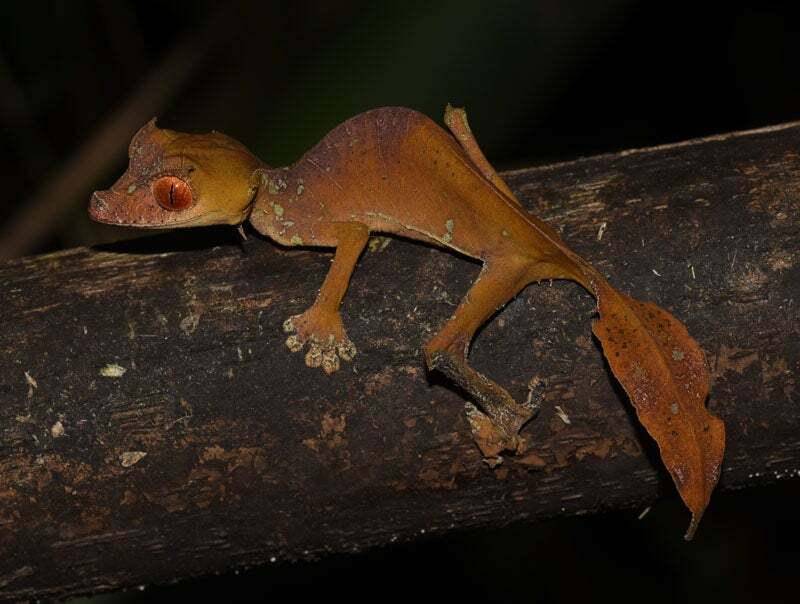 Now that the Marojejy leaf-tailed geckos have been formally described, there’s an opportunity to make regulatory distinctions that aid their long-term conservation. For an animal that pours so much effort into being invisible, it’s perhaps ironic that being seen for the first time is its greatest chance at survival.